France's official website states the national flag uses bleu, white, and red as representing both the king and Paris. White represents the traditional color of the House of Bourbon who ruled France from the 16th century to the revolution. Whereas, red and blue represent the colors that were flown by revolutionaries in the city of Paris. During the storming of the Bastille on July 14, 1789, revolutionaries wore red, white, and blue ribbons. 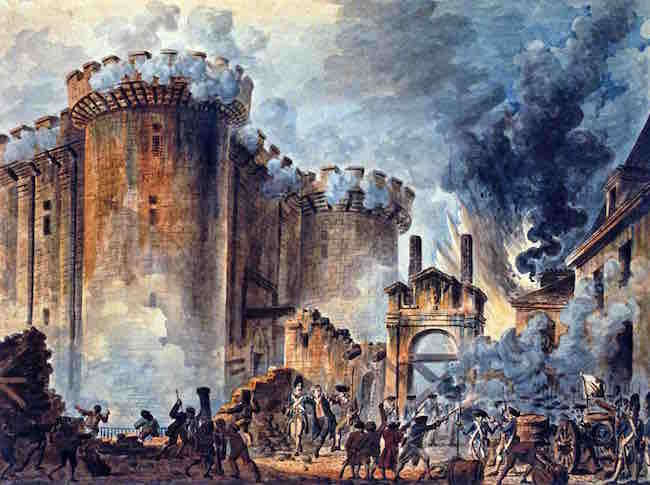 In 1790, the first Fête de la Fédération honoring the French Revolution was held in Paris and attended by delegations from countries around the world, including American statesmen. 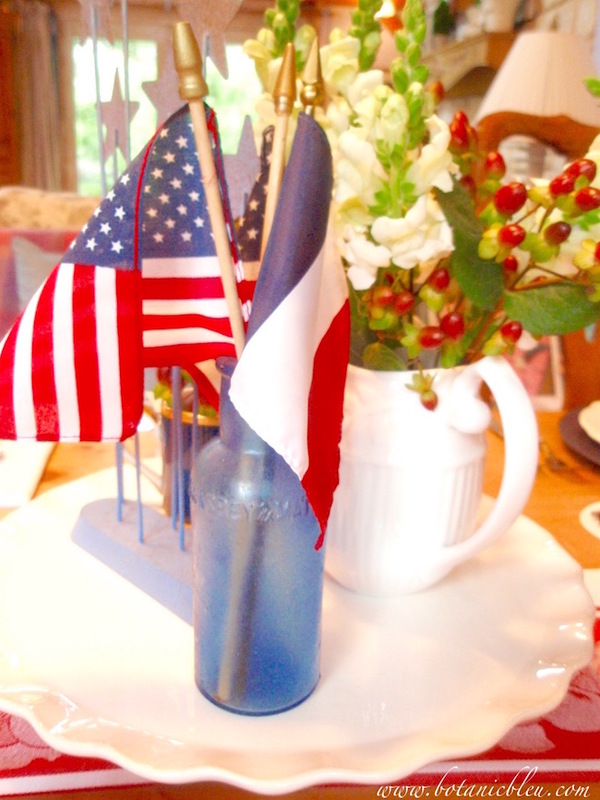 The American flag was flown as part of the celebration in Paris which was the first time the Stars and Stripes were flown outside the United States. Lafayette gave the key to the Bastille to American President George Washington, and the key remains on display at Mount Vernon, home of President Washington. was the motto of the French Revolution and is now the national motto of France. See French National Anthem, La Marseillaise, for some patriotic French music for your fête de la fédération. 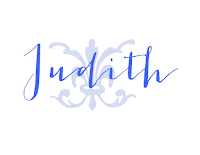 In case you missed earlier French Design on Friday posts, you may enjoy reading French Design on Friday 2 ~ Textiles. Very interesting post. 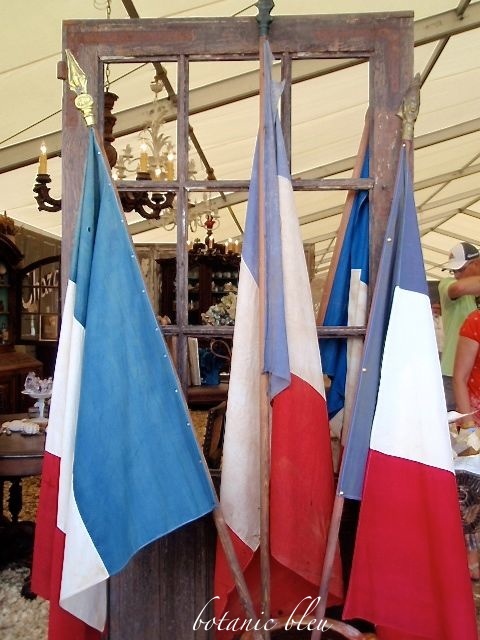 I had not thought about the shade of blue in the french flag being different from our flag. Sometimes the things I haven't thought about shock me. Fun to see beautiful Paris on TV this week. 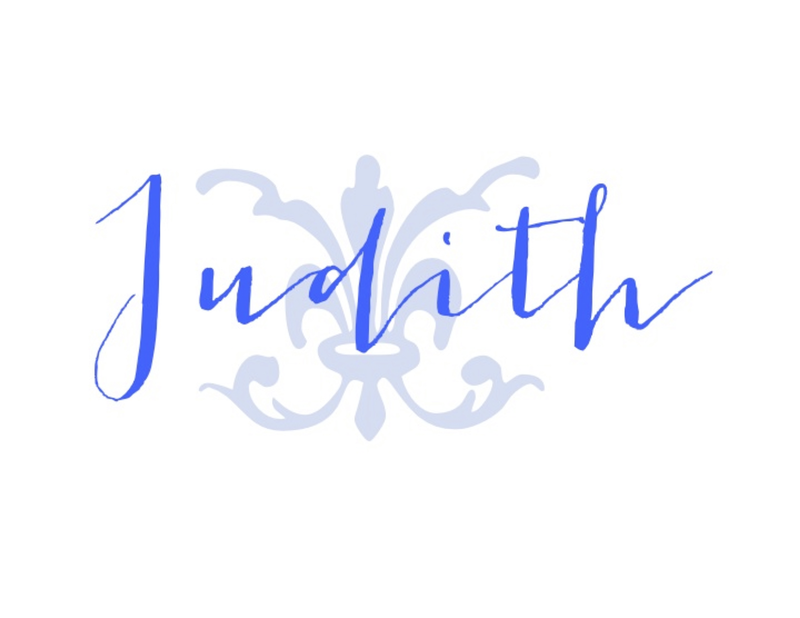 Judith, don't know how I missed this post, but better late than never. Love the photo of the flags.